Teenagers are a scary force when they finally get their license and take to the roads. They are a danger to themselves and to those on the road around them. In 2013, 2,163 teenagers in the United States ages 16-19 were killed and 243,243 teenagers were sent to the hospital to be treated after a car accident. In fact, teenagers are three times more likely to be in a fatal car accident than anyone over the age of 20. The risk associated with teenage drivers increases with each additional teenage passenger in the car. It increases 44 percent with one passenger, doubles with two and quadruples with three or more. What exactly puts teen drivers at risk, other than being more prone to distractions? Well, teenagers underestimate the amount of danger a certain situation puts them in, which makes it harder for them to recognize hazardous situations. This means they are more likely to speed, allow shorter headways and neglect their seat belts. In 2013, only 55 percent of high school students reported they always wear seat belts. Newly licensed teenagers are at the most risk of all other teenagers. They are still getting adjusted to being on the road without an adult in the car with them. They take advantage of their newfound freedom with potentially dangerous driving and activities. This is why the Texas Graduated Driver License Program exists. 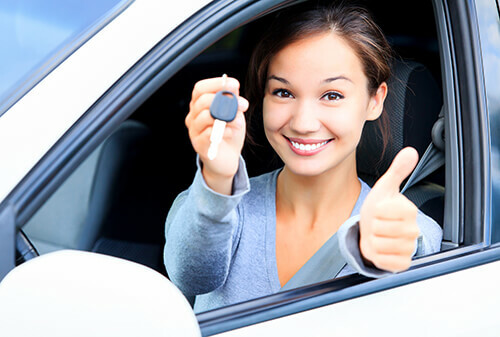 Before a person can obtain a license, they must first obtain a learner’s permit. Once they’ve gone through the appropriate driver’s education and had a permit for at least six months, they can take the driver’s test. Once they’ve passed the driver’s test, there are still some restrictions that come with being a new driver. First, they are not allowed to drive with more than one passenger under the age of 21 who is not a family member. Second, they are not allowed to drive between midnight and 5am, unless it is for work or an emergency. There restrictions are only temporary. They are there to keep new drivers safe, and other drivers safe from them. Since motor accidents are the most common cause of death among people aged 15-20, it is important to prevent these opportunities from arising. With these rules, the risk is decreased and hopefully will save more lives. If you have been in a car accident caused by a teenage driver, de Lachica Law Firm, PLLC is committed to helping you with your personal injury case. Contact a Houston car accident injury lawyer at de Lachica Law Firm, PLLC today for a free consultation.